As of October 2018, the World Wide Web contains over 4.4 billion pages. SEO is all about businesses trying to optimise their websites so they appear in those first few search results. The higher they are in the search engine results, the more visitors they will get to their websites and the more customers they will attract. 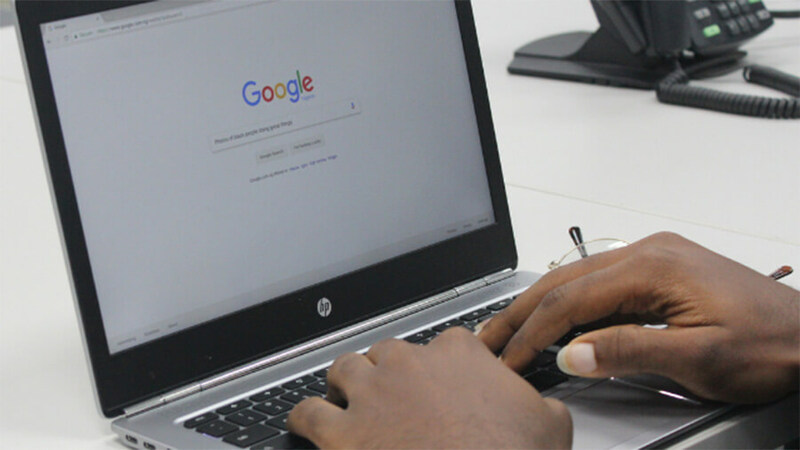 Search Engine Optimisation (SEO) exists because search engines like Google want to ensure that when someone searches for something, the results they get are the most useful, valuable and relevant. Google uses a constantly evolving and very sophisticated algorithm of over 200 different ranking criteria in order to do this. If a business wants to increase its search engine ranking they must try to ensure their website meets this criteria as much as possible. In theory, the more boxes they tick, the higher up the rankings they will appear. If you’re completely new, you may want to read the first guide in this series: SEO for beginners – what do you need to know? Only SEO specialists are expected to get anywhere near to covering Google’s 200+ ranking criteria. Luckily, these four most important and easy-to-implement factors could dramatically effect where your business appears in search results. 1. How relevant is your website? You may be aware that Google used to look at the volume of a website’s keywords, or the number of links, to decide the relevance of a website. This is no longer the case. In 2013 this was replaced by the Hummingbird update, an entirely new algorithm which tries to work out user intent and the context of the search to match the most relevant web pages. Google is trying to understand the meaning behind a search query in order to give more relevant results. What does that mean for SEO exactly? It basically means that in order to rank highly, you need to prioritise useful, engaging content that your target audience wants to read. But that’s not enough on its own – you need to take care of these other three factors too. 2. How healthy is your website? As we explained in more detail in SEO for beginners – what do you need to know? In order for Google to rank all of those billions of web pages it first needs to find them and index them. Search engines send out things called Web Crawlers (it helps to think of them like little robots), which crawl around the internet using links to hop from page to page and recording them on a database called the search engine index. The Web Crawler records the Web Page’s link, all the words on that page, and their location within that page. Looking after your website health simply makes it easier for these Web Crawlers to do their jobs and discover and index your pages. 3. How much authority does your website have? How many other reputable (high authority) websites have linked to you. How frequently you are mentioned online by other sources. How long your website and its pages take to load – slow loading times negatively impact your ranking. Mobile friendliness – is you website easy to view on mobile devices? Navigation – how easily can people find the information they need on your website, and is it organised in a logical way? Is your site easy to use? Are there too many ads and pop-ups that detract from the experience? Are forms difficult to fill out? Are the buttons too close together, which make them hard to click on?